GREENSBORO, N.C. (June 29, 2017) – Three North Texas Soccer teams claimed US Youth Soccer Region III Championship titles and qualified for the US Youth Soccer National Championships, while two more were finalists as a week of games concluded today. Teams in the Under-13 through Under-19/20 boys and girls age groups competed at Bryan Park Soccer Complex in Greensboro, N.C. from June 23-29, 2017. US Youth Soccer Southern Regional Premier League (SRPL) West winners in the Under-13 and Under-14 Boys and Girls age groups along with champions and runner-ups in the Under-15 through Under-19/20 Boys and Girls age groups joined State Cup Champions and select wildcards at the Region III Championships. Regional winners will then represent Region III at the 2017 US Youth Soccer National Championships held at Toyota Soccer Center in Frisco Texas on July 25-29. The North Texas Soccer State Cup is the first step in the US Youth Soccer National Championships Series. Boys and girls teams in multiple age groups earn their way by competing against the top teams in their state and region. US Youth Soccer State Champions and selected wildcard teams are eligible to compete in one of four US Youth Soccer Regional Championships. The champions in the 13U through 19/20U age groups from each regional event will converge in the finals with the National League teams. 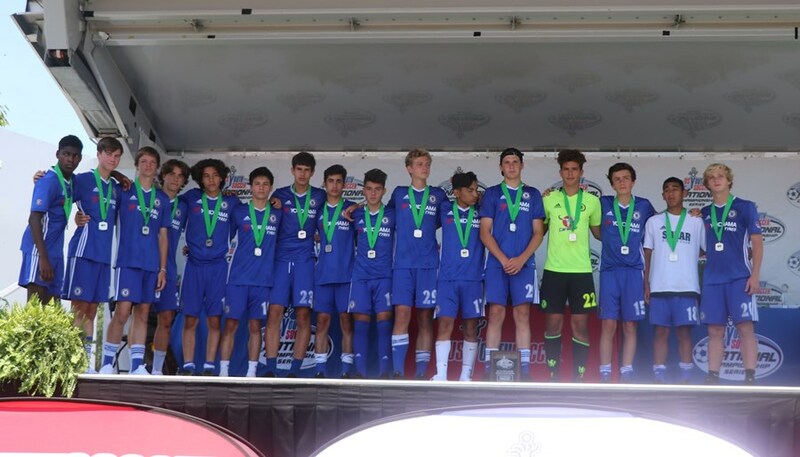 Solar Chelsea 02 Grado (TX-N) claimed a region title after defeating Solar Chelsea 02 Naizer (TX-N) 1-0 in an all-North Texas Soccer Region III Championship final. Haley Lopez’s 21st-minute strike from outside the box was the difference for the 2017 North Texas State Cup champs, who will advance to the National Championships. 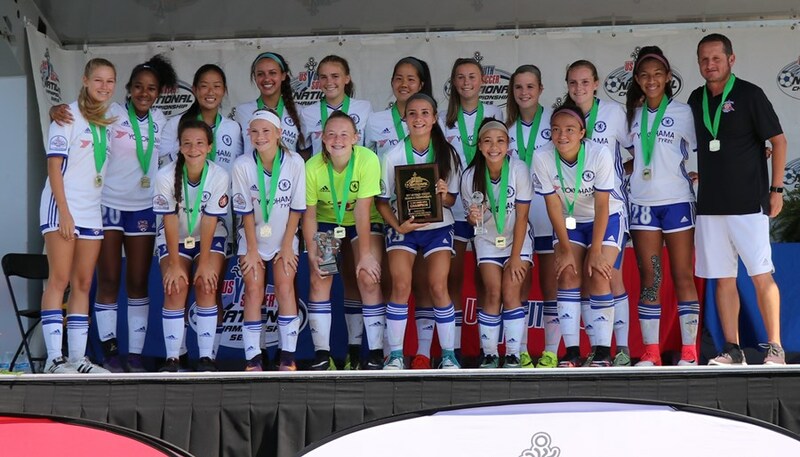 Solar Chelsea 02 Red Stricker took care of business in the Region III Championship final with a 6-0 win over ID Club Division 02 (TX-S). Riley O’Donnell began the scoring just two minutes into the match. Harvey Castro and Tournament MVP Richard Garcia added goals in the first half to put the four-time State Cup Champs up 3-0 at half time. Ilean Castorena, O’Donnell and US Youth Soccer and Region III Olympic Development player Ethan Orozco scored in the second half. O’Donnell led all scorers with nine goals in the tournament as Solar scored 20 goals and conceded only one in six games. Both sides will advance to the National Championships due to Solar already qualifying via the National League. Solar Chelsea 01 Elite (TX-N) fell to Tampa Bay United (FL) 4-0 in the Region III Championship finals. The match-up was a rematch of the second day of group play, when Tampa Bay won 3-1. FC Dallas 00 Premier (TX-N) went down 1-0 in the first half to CASL Red 00 North (NC) in a group stage rematch, but Joseph Nelson’s header off a corner-kick in the final minutes of regulation drew FC Dallas even at 1-1. After a scoreless first period of extra-time, FC Dallas erupted for three goals in the second to win 4-1 as Fabian Cruz found the back of the net twice to go with Marcos Puga’s goal.